Mobile window tinting has become increasingly popular in recent years due to an increased awareness about the dangers of prolonged and direct sunlight as well as an ever greater need for privacy. As a result the window tinting industry is booming. There are several companies out there who all offer a variety of different tinting options. It is no surprise then if you feel a little overwhelmed at all the options available to you. Below are some useful tips to help you make an informed decision. The first thing to consider is how much visible light transmission (VLT) you would like on your windows. The VLT is essentially the darkness of the film that is used. It determines how much light passes through the window. With regards to window tinting for your car, it is important to take note of the laws of your state, since each has its own restrictions, exemptions or regulations. It is always advisable to get quotes from at least two or three tinting companies before making your decision. Compare not only the price, but also the customer service, products and brands, the company’s previous work and the company’s overall reputation. This will increase your chances of securing the best and most competitive deal. Do take note however that the quality of the work may not always be reflected in the price. Professional companies will provide a guarantee of at least one year. Also be sure to familiarize yourself with any terms and conditions pertaining to the warranty. Although a cheaper tint may get the job done, it is advisable that you opt for the more expensive film. Not only will it be much more durable, saving you money in the long run, but the difference in the quality of tinting film can be huge. High quality film can last more than twenty-five years depending on the climate, amount of direct sunlight the window is exposed to and the product type. 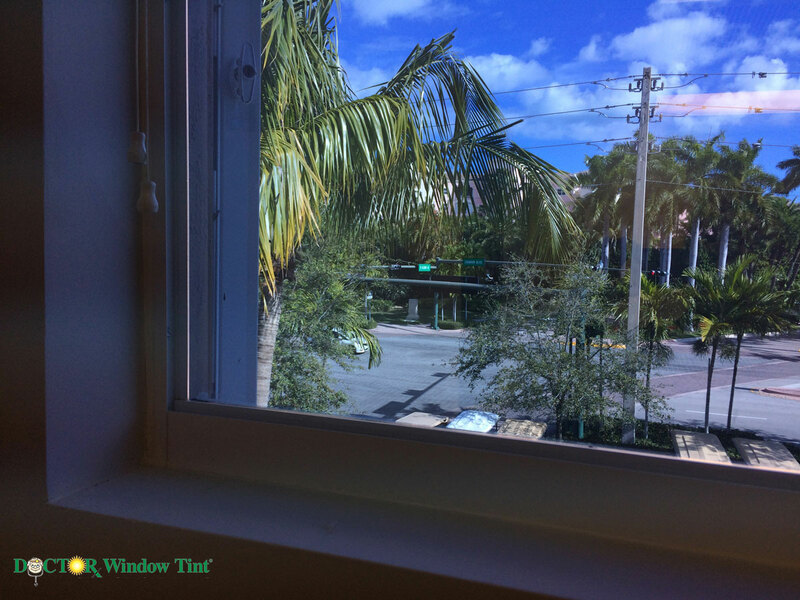 In 1992, after Hurricane Andrew, Publix Supermarkets installed window tinting film in more than 350 stores – the film is still in good condtion to this day. Once the film has been applied to your windows, it is important that you do a thorough inspection to ensure that everything is in perfect working order. The first thing you will want to watch out for is air bubbles. If you are able to spot many of them, it means that the film was not applied correctly. You will also want to make sure that the surface feels smooth and that no dust or dirt have been trapped under the film. Another thing to check is that the tinting covers the entire window all the way to the edges (however please note that the tint should not touch the frame and there will be a small/micro gap around the edge). This will prevent it from peeling off easily. However it is important to remember that a few small imperfections are tolerable. Nowhere will you find absolute perfection. If you approach a reputable mobile window tinting company and follow the guidelines above, you can be assured of a high quality tint that will last you at least a couple of years. Contact us if you would like to schedule a consult or if you would like any more information.